Pre-workout energy drinks deliver a motivational boost. But most are designed for men. Designed for women. FitMiss Ignite supports converting fat into energy, improving endurance and promoting healthy body composition. 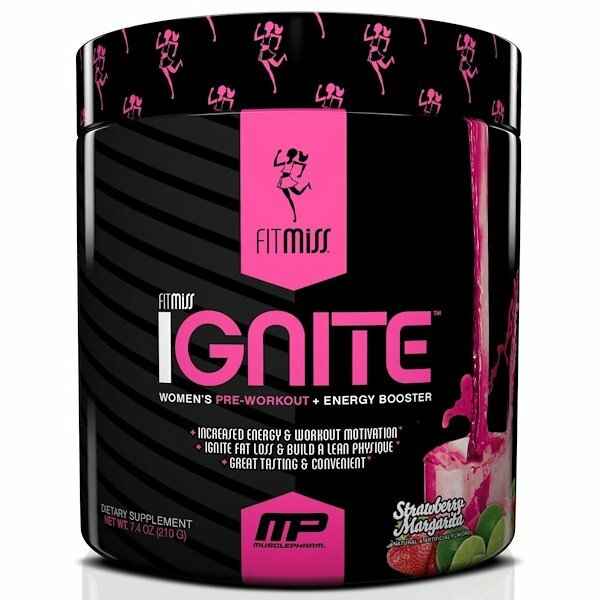 It contains beta-alanine, natural amino acids like glycine and taurine backed up by the fat-burning power of L-carnitine. Natural & artificial flavors, citric acid, malic acid, calcium silicate, sucralose, silicon dioxide, acesulfame potassium, fruit & vegetable juice (color).